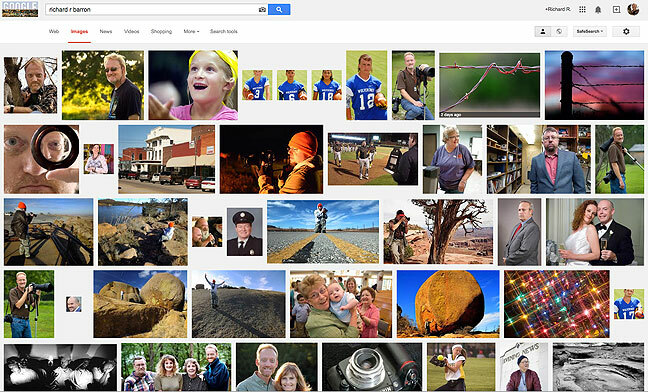 Image searching for Richard R. Barron? Bam! 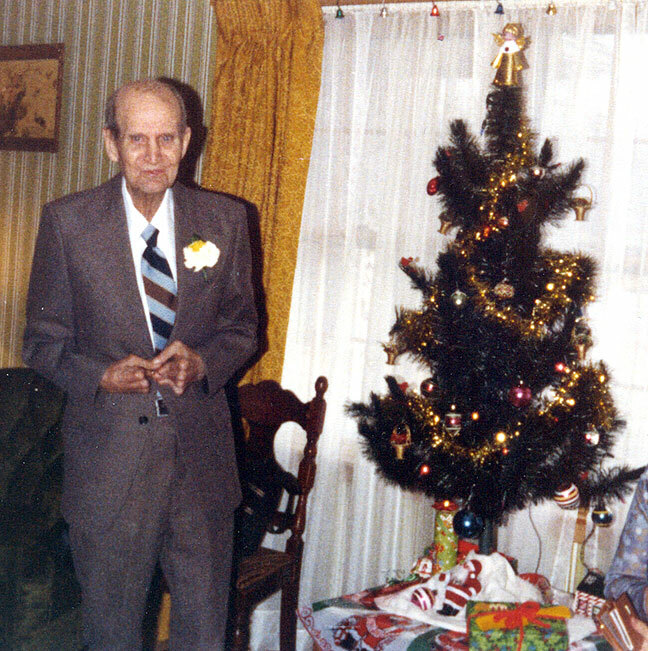 My grandfather Russell Barron poses with a Christmas tree at his home in Independence, Missouri, in 1981. Such a statement brings to mind the fact that the internet has become so bloated with search engine optimization (“SEO”) efforts that it has actually gotten harder to find things via frank, uncomplicated searches for them. We mostly have commerce to blame for this. I am not immune. While the standard web search for both “Richard Barron” and “Richard R. Barron” (with or without capitalization or punctuation) results in elements of my web site being near the top, the image search is a weirdly different story. Image searching for “Richard Barron” results in an super-eclectic mix of everything from basketball coaches to police booking mug shots. Image searching for “Richard R. Barron”, on the other hand, results in page after page of images of me or by me, both on this web site and at my newspaper’s site. My middle initial appears in my photo credit under every photo in The Ada News and Ada Magazine, a practice that seems common among news photographers. For a while in the 1980s, there were four news photographers in Oklahoma prefacing their names with the initial J, such that Shawnee News-Star photographer Ed Blochowiak and I called each other “J. Ed” and “J. Richard” for laughs, sometimes still to this day. Sometimes people ask for my middle name, and I don’t hesitate to tell them it’s Russell. I was named after my grandfathers, Russell Barron and Richard Batten, whole middle names were Leander and Morgan. At one point before I was born, I was slated to be Morgan Leander Barron. 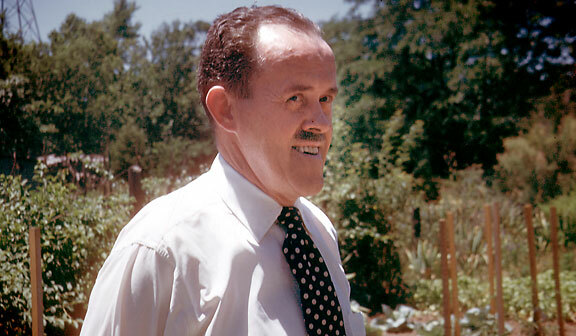 My grandfather Richard Batten poses in his garden in Flat River, Missouri, circa 1950. I see myself in a lot of those images …..
I’m Nicole G. Hammill because of your example; adding a middle initial seemed to me to be something witty, urbane, sophisticated types did — I’m So Important That I Require The Distinction of a Middle Initial. Down here in the deep south, ladies are supposed to foreswear their middle names and instead use their maiden names (Nicole B. Hammill, then), but…no. I feel more attachment to the G than I ever did to Barron. I do enjoy your family related posts. I’m humored that you quoted my web page. :-) And yes, it was more than irritating to have this guy take over the search results that had been mine alone for a decade.